As you probably already know we will perform the soldring using resistance wires which will be powered and heated by copper plates which will be provided with power from the batteries. In this post I will explain the soldering procedure in more detail. We will use a component pin to be soldered. 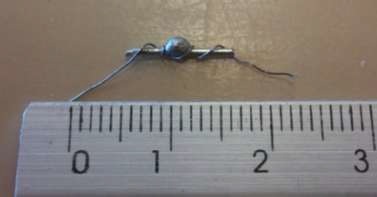 The resistance wire will be twisted with quite a few revolutions around the component pin as seen in the figure below. 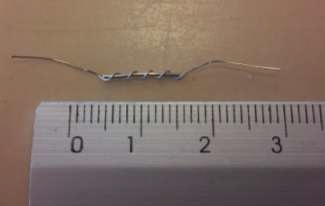 Then, the solder will be twisted around the component pin and hence around the resistance wire. The solder will be twisted very compact with alot of revolutions. This can be seen in the figure below. When both wires have been twisted around the component pin it's ready to be powered. 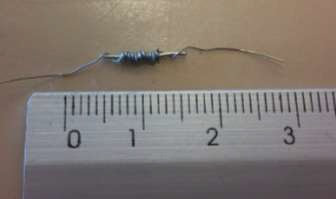 As the resistance wire will increase in temperature it will heat the component pin and melt the solder so it can stick to the component pin. The result can be seen in the figure below. To ensure all samples have the same starting conditions all resistance wires will be of the same length, just as the component pins and soldering wires respectively. All resistance wires will also be twisted the same amount of revolutions around the component pin, just like the soldering wires. 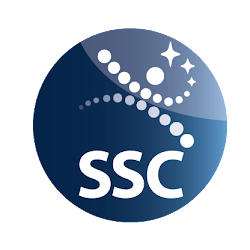 SOLAR is a scientific study of soldering under the effect of reduced gravity and different environments. 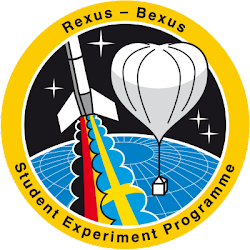 The objective is to better understand and improve reperations of components in space, benfiting future long distance space missions.